X-ray computed tomography is a widely used imaging technique nowadays. Especially in medicine it takes an important role for visualization and diagnostics. Micro-computed tomography (μCT) follows the same principle as conventional medical CT-Scanner. But the objects analyzed are smaller, thus an improvement in spatial resolution down to few micrometers is possible. 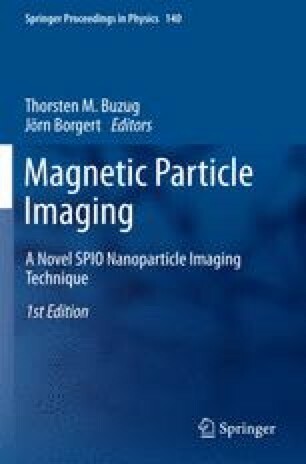 In the work field of biomedical application of magnetic nanoparticles μCT has been used for the visualization of the nanoparticle accumulations within tumoral regions after magnetic drug targeting. Further on, a calibration procedure has been developed and applied with a μCT-apparatus. The calibration procedure enables a semi-quantification of the nanoparticle content within the tissue samples. The next step stone in visualization process is the observation of the nanoparticle accumulation during the application of magnetic drug targeting in an animal. Thus, we have tested the calibration procedure on a commercial animal scanner. In this paper we compare the semi-quantitative results figured out in two different μCT-equipments.